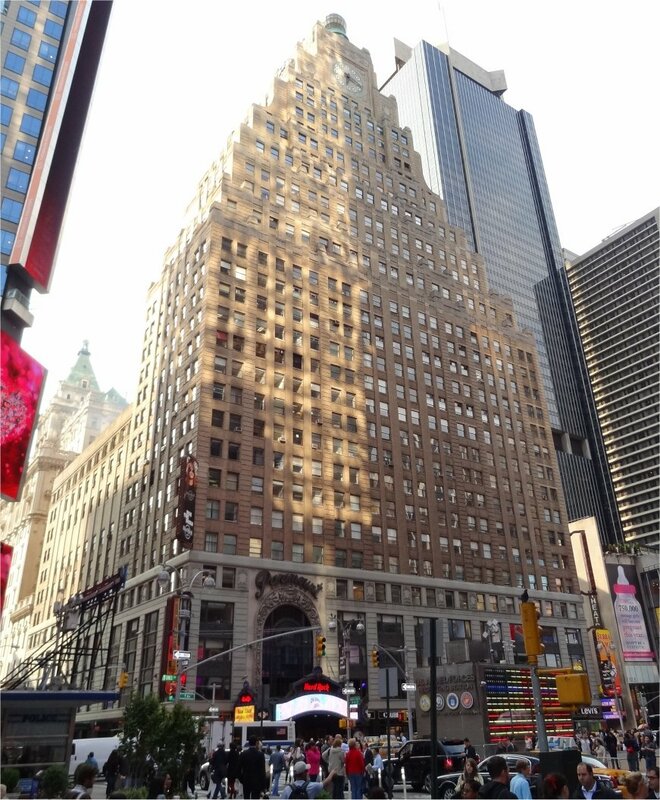 The Paramount Building is located on Broadway, in the heart of Times Square. It originally housed the Paramount Theater and served as the eastern headquarters for the Famous Players–Lasky Corporation, the forerunner of Paramount Pictures. 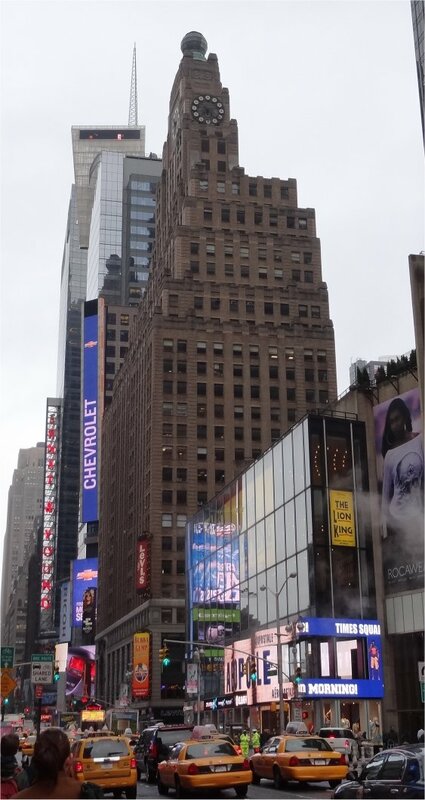 It was designed by George and Cornelius Rapp and erected in 1927. It includes a clock tower, topped by a globe. They were both restored in 1997.